Accessories Installed: 3M Clear Mask, Colorado Package (All Season Floor Mats, Full Window Tint, Cargo Tray), Premium Leather, Black Chrome Grille, Illuminated Door Still Trim, Black Fender Emblems, Rear Trim Accent Black Chrome. Modern Steel 2018 Honda Accord Sport 2.0T 6-Speed Manual 5 day, 250 mile money back guarantee. 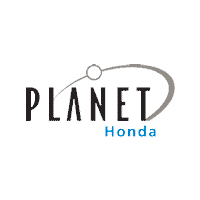 I4 DOHC 16V Turbocharged 22/32mpg** At Planet you get a 5-day, 250-mile money-back guarantee. If you don't like the car, bring it back for a full refund. You will always receive our Planet Value Price - a haggle-free, commission-free buying experience. Buy confidently and comfortably. Also, we never charge Dealer Handling Fees. At Planet you don't need to haggle to get our actual price. We NEVER charge Dealer Handling Fees & All purchases have a 5 Day, 250 mile money-back guarantee. Buy with confidence. Price includes $5,030 of dealer added accessories.